dry ingredients. Mash the bananas in a separate bowl. when sliced. I like it both ways! Enjoy! Bananas are high in B6 and a good source of potassium. 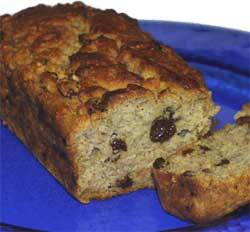 This recipe is glutenfree, so it is great for all those who are sensitive to wheat.